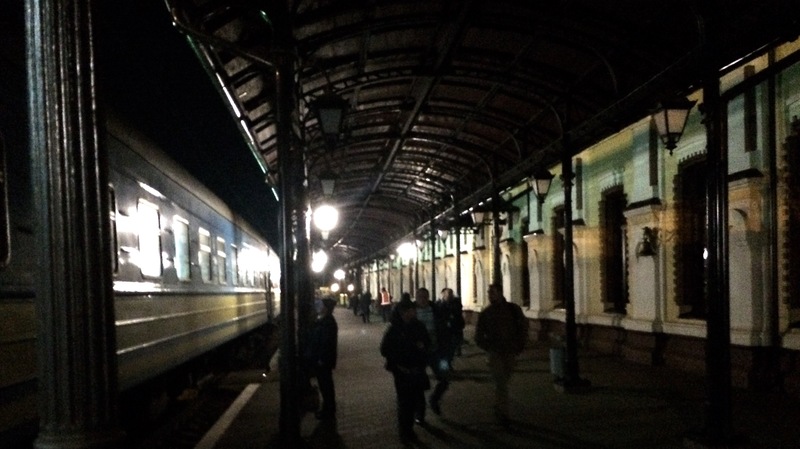 A couple of weeks back I was on a train from Kyiv to Vinnytsia (Ukraine) when we made our only stop. I got off for some fresh air and a moment of quiet. See these trains are always full and this one had 8 or so kids under 8 years of age. So, knowing these stops lasted a few minutes, I got off, stretched my legs and breathed some fresh air. My reward was this view. I wish I knew the name of the town this beautiful station was in, but I don’t. But this brief view of a well kept, relatively old station was a treat, especially with the lighting as it was. As we go through our day, we should pause, and go get some air. I have Scripture and prayer reminders popping up on my phone to do this because it isn’t second nature to me to pause. Luther told his barber that prayers shouldn’t be so long and elaborate, but shorter, meaningful and frequent. His idea of frequency came from the biblical admonition to pray without ceasing. So, take s moment and go get some air. Fresh air and pauses are LIFE for body and spirit. We were made with a design that includes a need for Sabbath. Thanks, Tom.